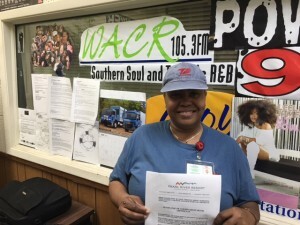 CONGRATULATIONS TO KISHA IVORY ON BEING THE WACR SOUTHERNSOUL WINNER!!! 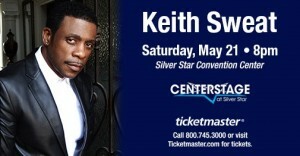 SHE WON TICKETS TO SEE KEITH SWEAT ON SATURDAY, MAY 21ST!!! KEEP LISTENING TO WACR SOUTHERNSOUL FOR YOUR CHANCE TO WIN BIG… NEXT UP IS GLADY KNIGHT IN CONCERT AT THE SILVER STAR CONVENTION CENTER!! !